I am a true local of the Myrtle Beach area. I have raised my family in Conway and I look forward to helping you do the same.It is my goal to be the best resource for you and your family's Real Estate needs.From new home construction, homes sales, land and bank owned property. I have the knowledge and experience to guide you through the buying and selling process. "Kevin always had time for our questions and gave us very honest answers. We are first time sellers and, of course, had tons of questions. Kevin created a very "welcoming" environment that made it very easy for us to inquire about things we didn't understand." "Kevin McDowell was an outstanding agent. We had a few bumps in the road but he went over and beyond his expectations to do all he could to make the process go as smoothly as possible. I would recommend and also use him again in the future." 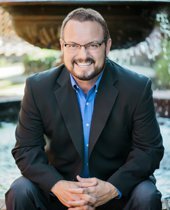 "Kevin McDowell makes buying and selling a home a great experience! He is professional and gets the job done!"